Are you an employer and want to reduce workplace injuries and implement procedures? 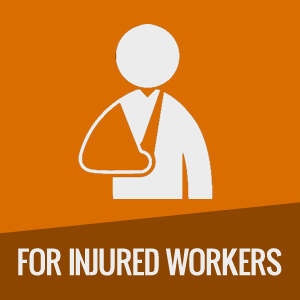 Are you an injured worker and need some guidance? Quality worker focused injury management and workplace rehabilitation services. We work towards the best possible outcome for you. At ANY TIME during your claim you can change from your existing rehabilitation provider or change your healthcare provider if you are not satisfied. Get in touch with us today to find out how. Click here for our handy factsheets! In business since 1976 ,as a NFP we pour all our profits into building services and investing in the interests of injured workers and their families. Have you suffered a workplace injury? Let Workers Health Centre help you through your injury and return to work. We understand what you may be going through. The uncertainty, confusion and the impact a workplace injury has on you and your family. This is why we provide transparent step-by-step injury management and return to work services as we walk with you on the road to recovery. What to if you’re injured?